BERNIE, Mo. 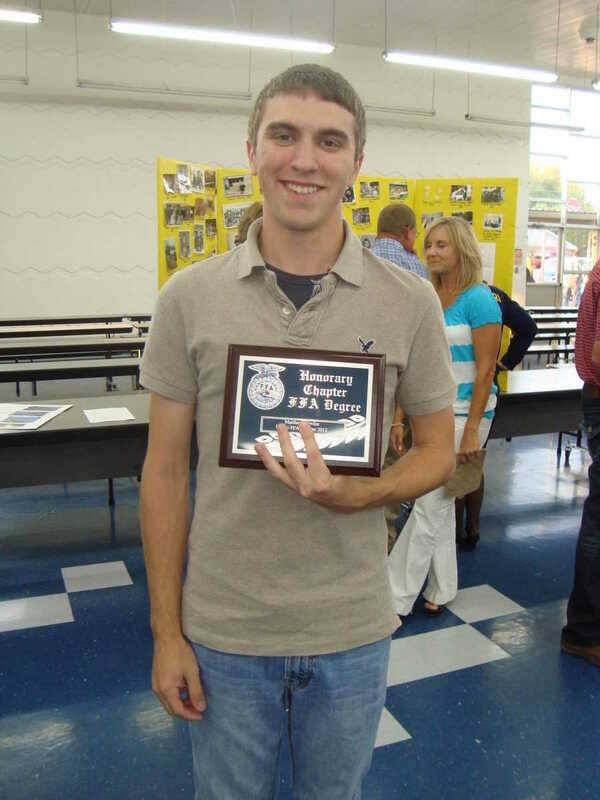 - Bernie High School held their FFA Parent Member Banquet on Monday, May 21, 2012 and recognized several chapter members for their efforts over the 2011-12 school year. Advisor for Bernie's FFA Chapter is Kathryn Savat. Members include Morgan Riley, Rachael Parson, Jerra Ingle, Brad Freed, Sam Turner, Chris Barnes, Raymond Galbraith, Gavin Smith, Caitlyn Mayberry, Colten Mayberry, Tanner Mayberry, James Carter, Taylor Wilhite, Joe Johnson, JR Pregel, Zach Tanner, and Hayden Riley. 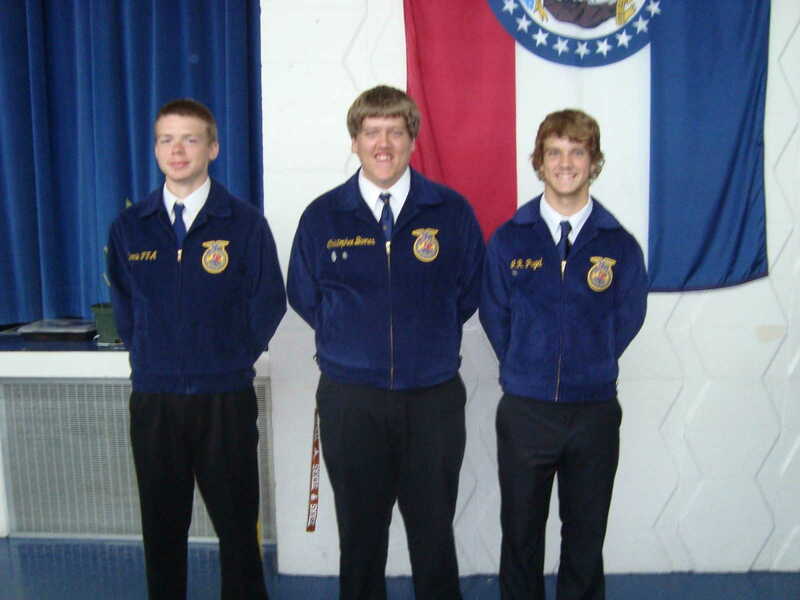 The chapter's Forestry Team which competed at the State Level consisted of Joe Johnson, Chris Barnes, and JR Pregel. 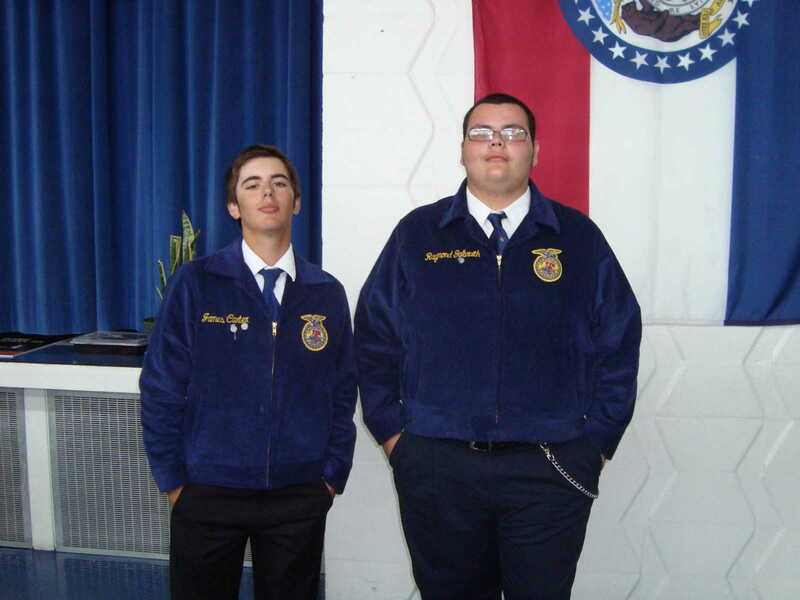 Making up the Floriculture Team were James Carter and Raymond Galbraith. 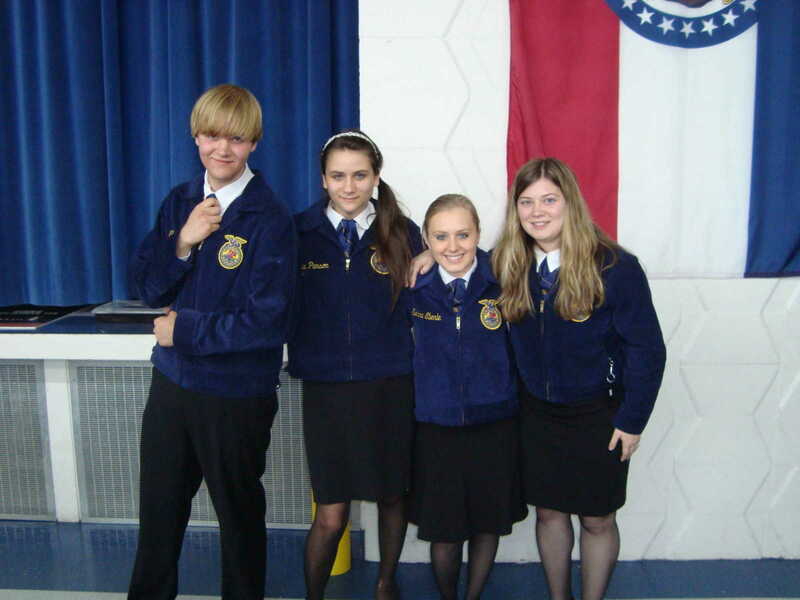 The FFA Agronomy Team consisted of Tanner Mayberry, Rachael Parson, Sierra Eberle, and Morgan Riley. 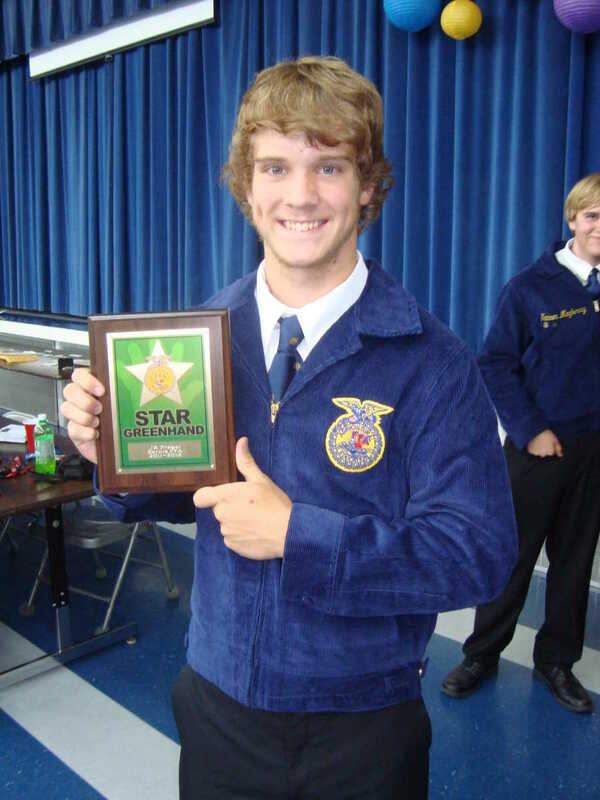 The Star Greenhand Award went to JR Pregel. 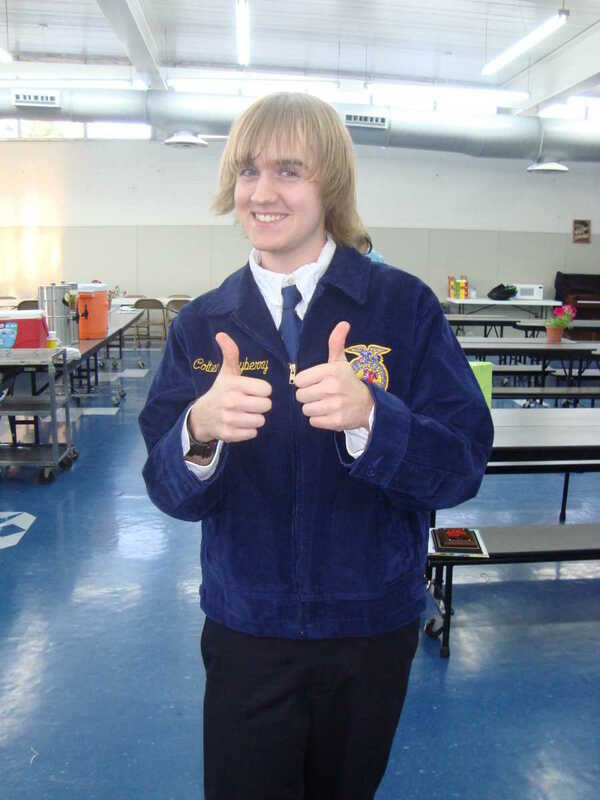 Colten Mayberry received first in area, second in districts, and competed in state for Extemporaneous Speaking. 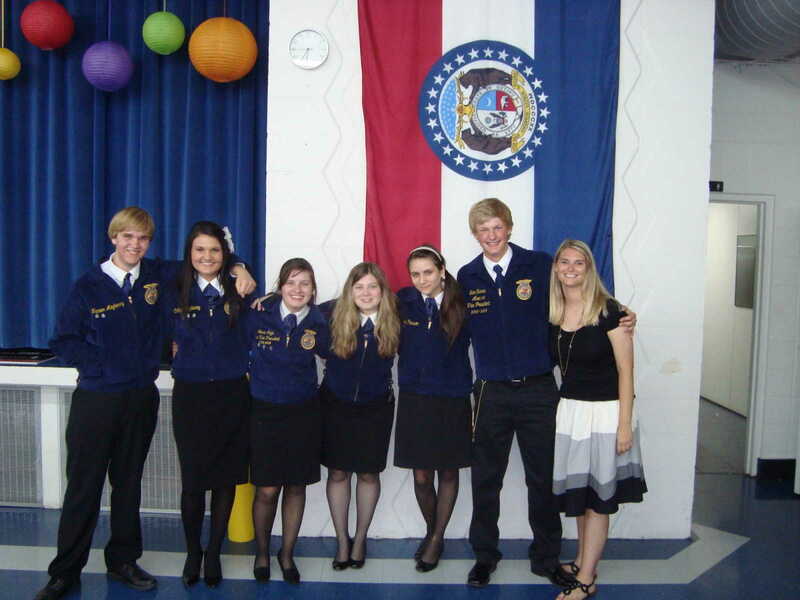 The 2011-2012 officer team consists of Tanner Mayberry, Caitlyn Mayberry, Jerra Ingle, Morgan Riley, Rachael Parson, and Sam Turner. 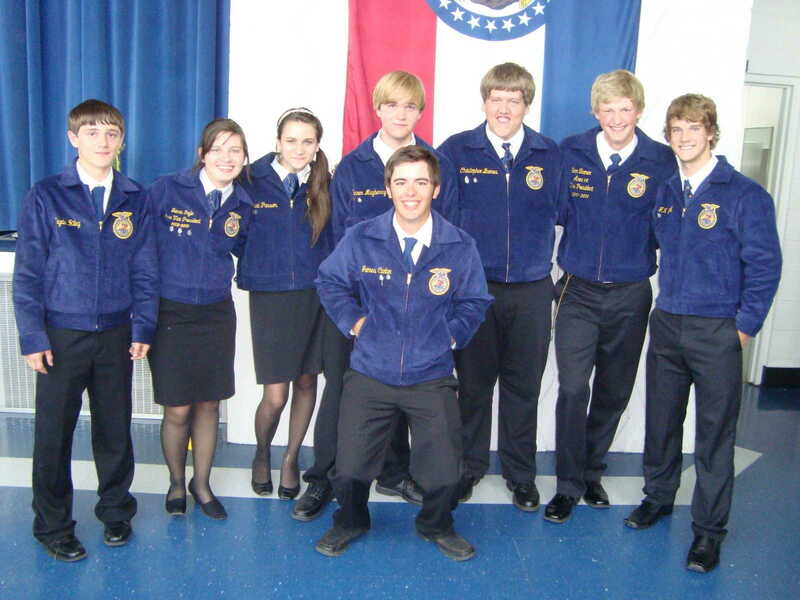 The 2012-2013 officer team includes Hayden Riley, Rachael Parson, Tanner Mayberry, Chris Barnes, Sam Turner, JR Pregel, and James Carter, and Zach Tanner. 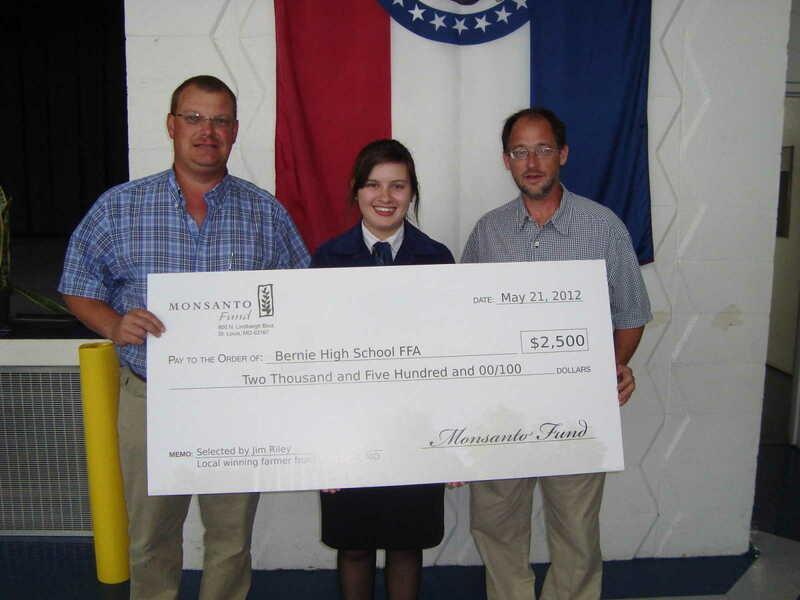 Jim Riley, local Bernie Farmer, nominated Bernie FFA for Stoddard County to receive a $2,500 donation from Monsanto. In this program, farmers from 1,245 counties across 39 states, including Missouri, may enter to win a $2,500 donation for a local nonprofit of their choice. The purpose of the program is to recognize the vital role that America's farmers play and to help them grow their communities by supporting local organizations that is important to them. Nearly 60,000 farmers across the country participated in this program, and one winning farmer was selected in each eligible county. On hand to make the check presentation to Jerra Ingle was Monsanto rep Tim Temples. 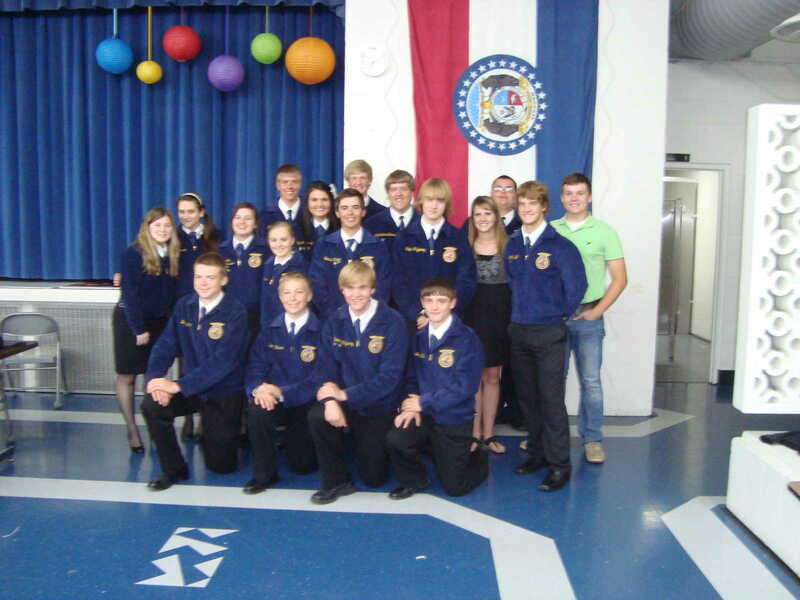 Bernie FFA members participated in the FFA Chapter Challenge earlier this year. 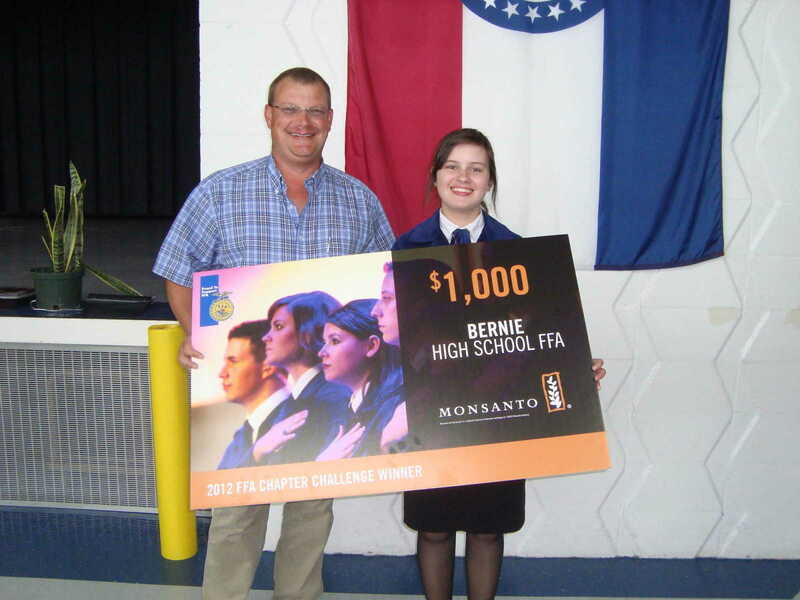 Bernie FFA was in the top 80 across the US in getting farmers to vote for our chapter and received $1,000 from Monsanto for participating in the program. The goal of the program is getting FFA members out in the community talking to farmers. Savat thanked several sponsors of the annual event at the ceremony, including Bernie Town and Country, Tilmon's Trophies, Monsanto, Todd Young from Crop Production Services at Bernie and all local parents and farmers who support the local Bernie Chapter of FFA.